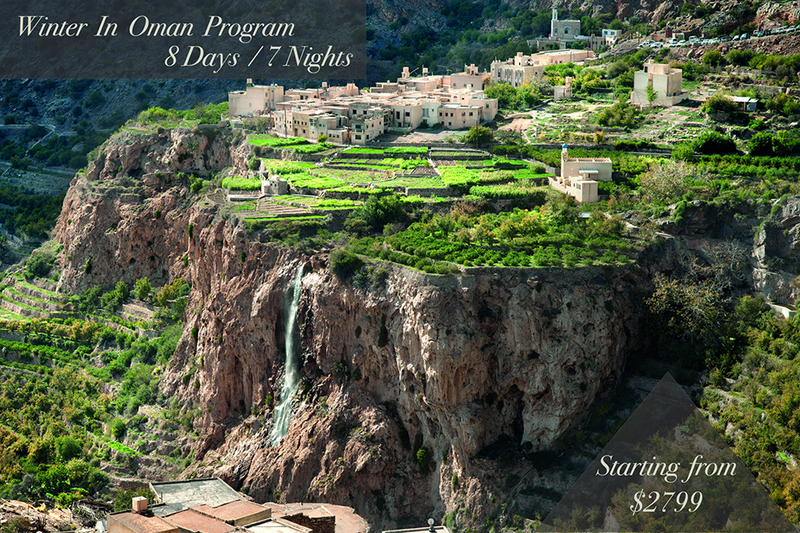 Along with one of oman’s top professional photographers, you will embark on a glorious journey across the country’s scenic locations. Abdullah Al Shuhi will not only be taking you to the best locations but also strategic spots for capturing the most brilliant photographs. 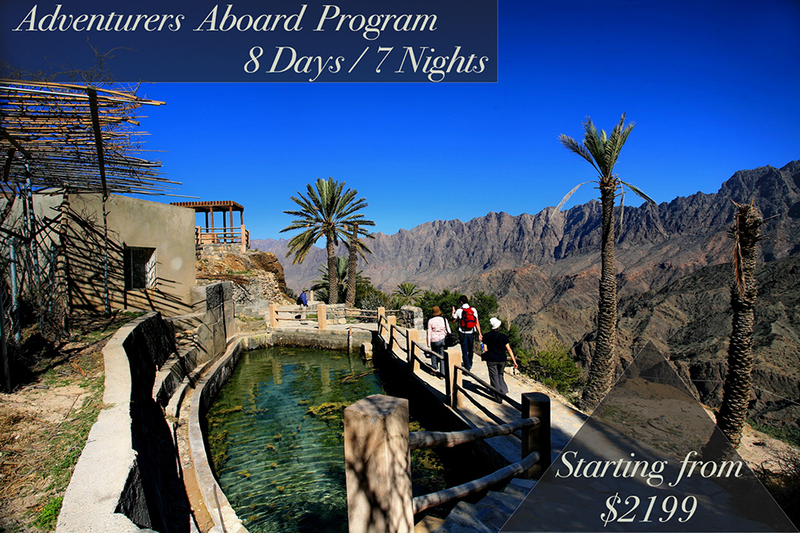 Awaiting you are beautiful, picturesque spots and plenty of gorgeous sunrise and sunsets. 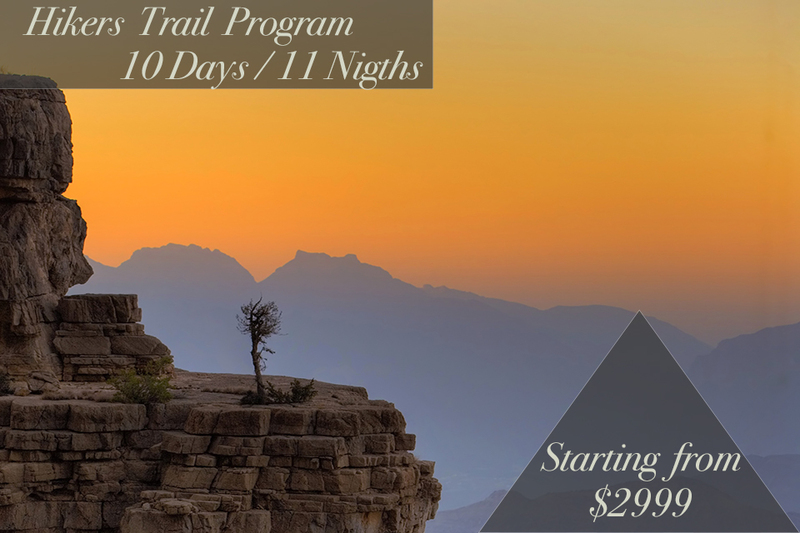 Check out our itinerary, pricing, and policies and get in touch with us and make us a small part of your next big adventure! 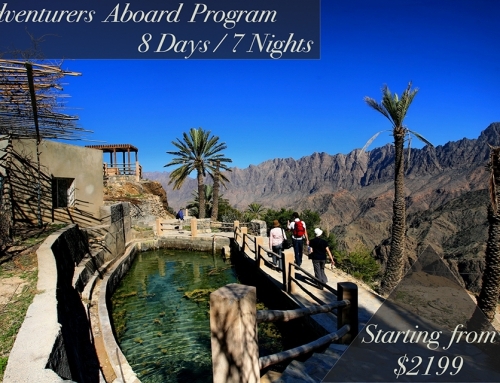 You will be checking out of the hotel today to take a tour into the interiors of the country, stopping by wadis which make for great scenic pictures. 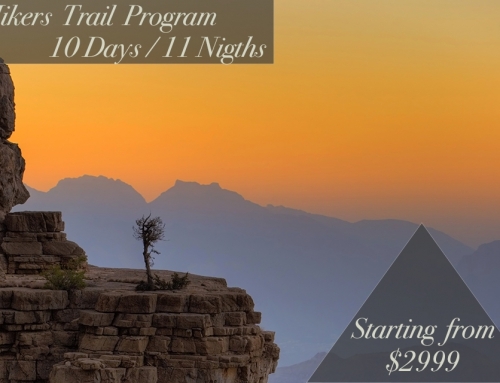 You will make a stop in the town of Sur where you can spend some time at local souqs and proceed to a location to watch a breathtaking sunset. 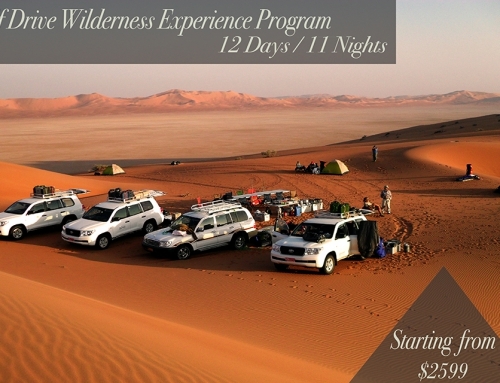 After checking out of the hotel you will head towards the desert. On the way, you will be halting at a wadi where you can take the opportunity to capture beautiful pictures of nature or just take a swim! You will be then taken to your camp in the desert. 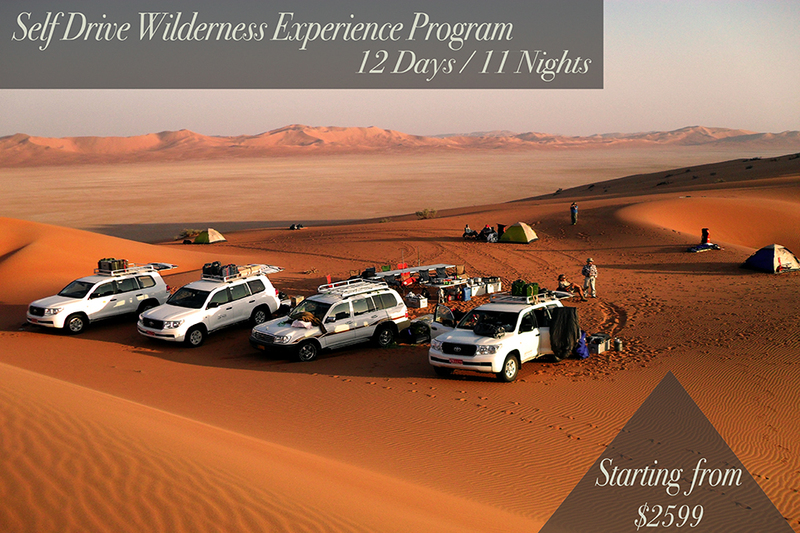 Here you will be able to meet Bedouins, check out a camel farm and watch a magnificent sunset over the dunes! 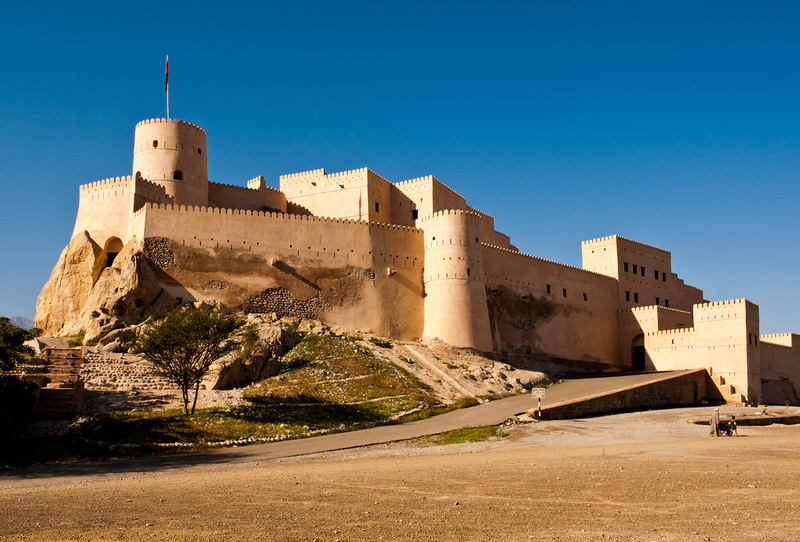 After a sunrise photoshoot in the desert you will visiting old villages, forts and castles to get a glance of Omani heritage. 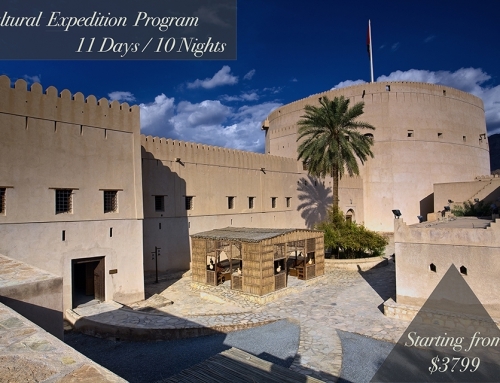 These are great heritage sites and offer insights to the Omani culture. You will be checking in your hotel in the town where you have the evening to yourself. 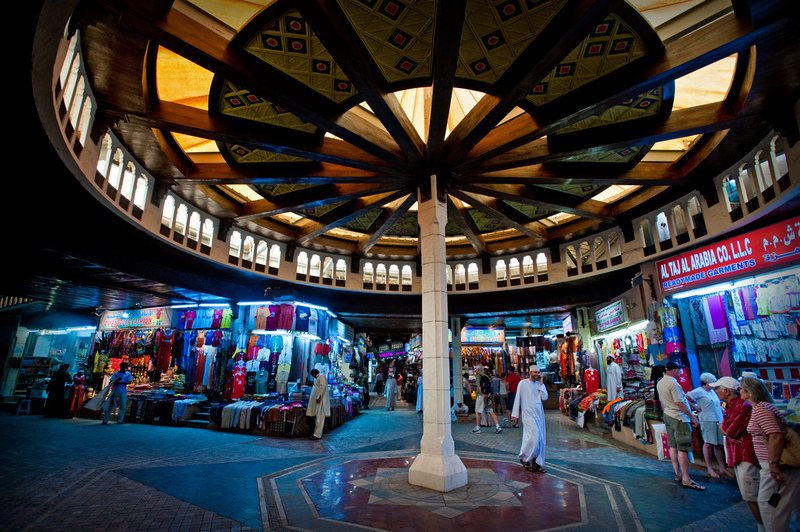 Today you will be visiting the markets and silver souqs around the town in the morning. After which you will be driving off to the majestic mountains! The mountains are lush green and make for some great photos! 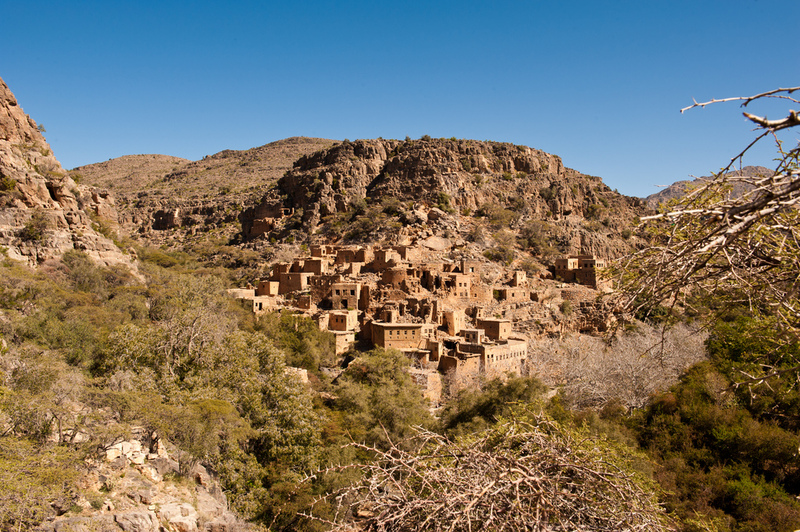 You may then explore the village and wadi nearby and drive back down to your hotel. Day 7: To the top! You will be checking out today and spending time at the Friday Market. You will be visiting some antiquated villages on the way to another mountain top. 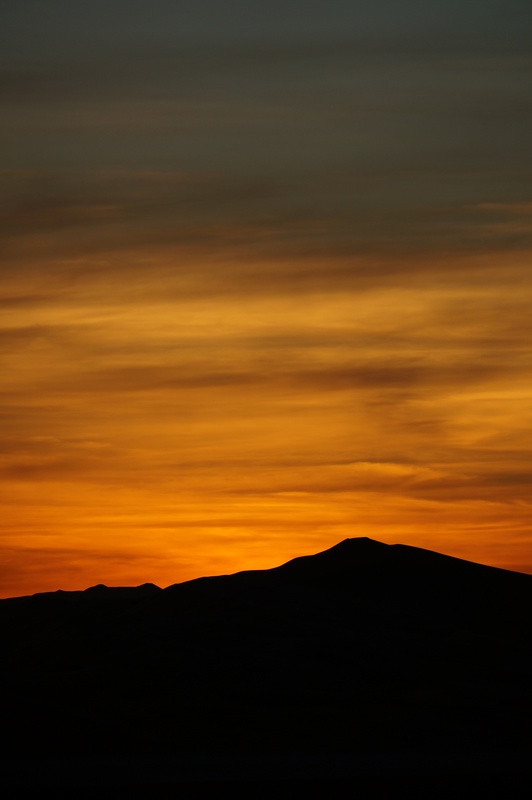 After reaching the top you will be checking into your beautiful resort and get a chance for great photos of the sunset. 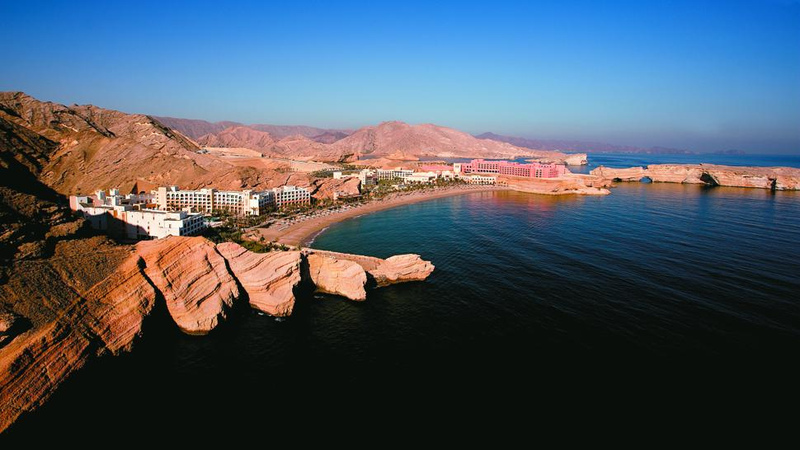 After a stunning sunrise photoshoot you will check out of the resort. You will be crossing over the mountains, which is an thrilling journey. 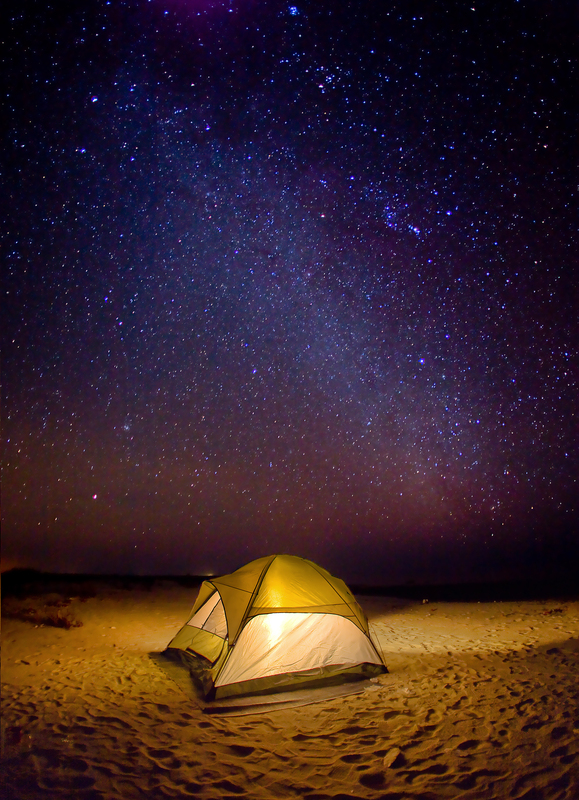 There are stunning panoramic views that you will be able to capture along the way. 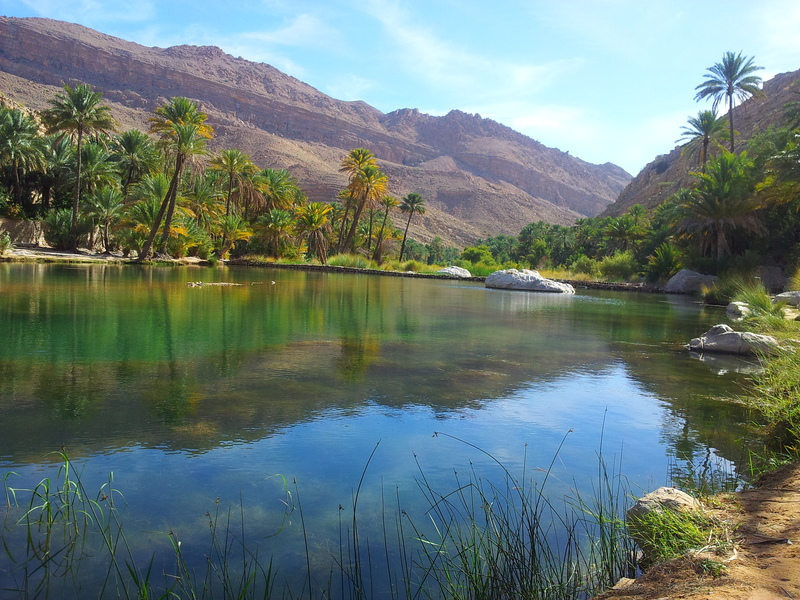 You maybe halting Enroute at villages and Omans most scenic wadis. After breakfast you will be leaving for Muscat. 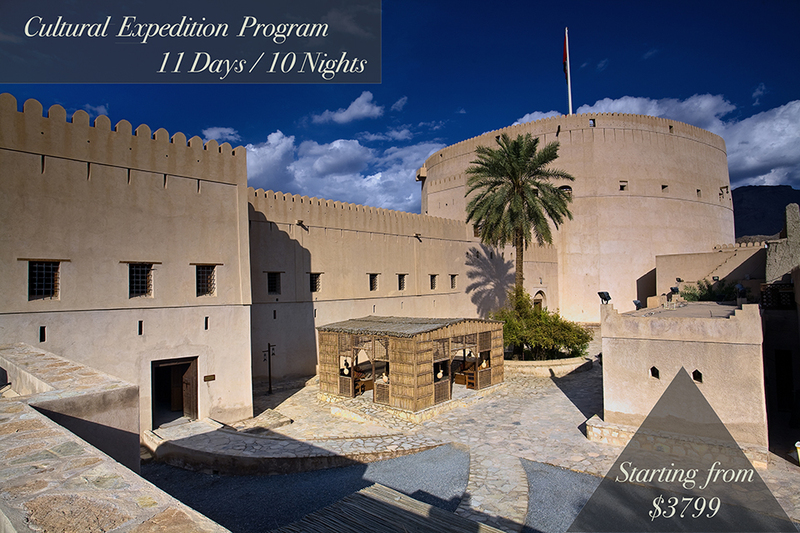 En route there will be stopovers to visit a fish market and beautiful forts and a picnic lunch in an Oasis. 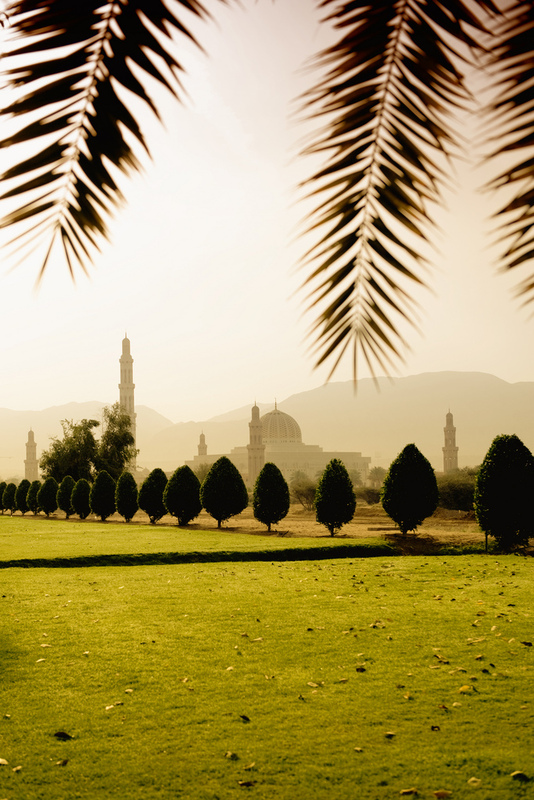 You will retire to your hotel room in Muscat and meet up in the evening for a farewell dinner. After breakfast and check out from the hotel, our representative will transfer you to the airport for your departure back home! 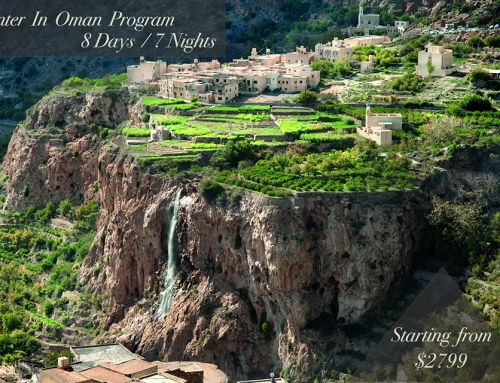 We hope you enjoyed your time in Oman and collected some fascinating pictures. We hope to host you again when return for more!